Architecture firm LEO A DALY teamed up with Studio Twenty Seven Architecture to design this seven-story residential building that helps its tenants transition out of homelessness. 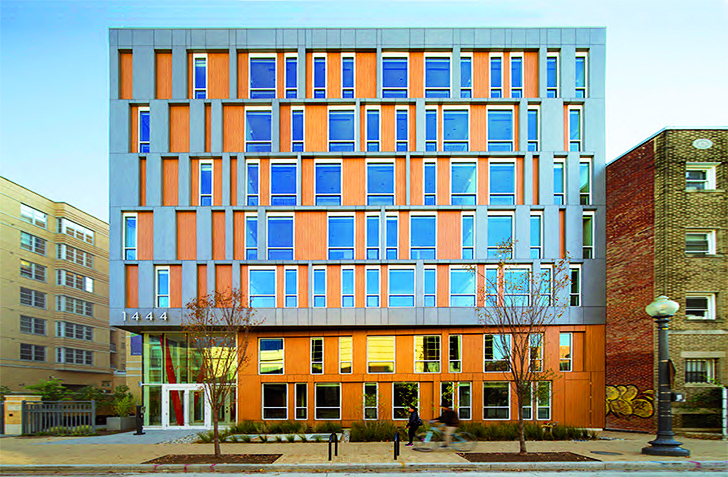 La Casa project, located in Washington, DC, provides permanent housing and supportive services for 40 men, and it's design and social impact have been recognized by the The American Institute of Architects (AIA). The green-roofed, LEED-Gold certified building is described as a home, instead of an institution. The lobby, support offices and a mail area are located on the ground floor, while the second floor houses a community room and opens up onto an outdoor terrace. Each of the upper floors comprises seven dwelling units and one ADA-accessible unit. Instead of functioning as a temporary shelter, La Casa offers permanent accommodations to homeless people, giving them a permanent place to reside. This model helps the tenents sucessfully adopt a lifestyle different from their previous situation. Residents are reintegrated into society though "a variety of trainings, including life-skills, financial management and job-readiness." The green-roofed, LEED-Gold certified building is described as a home, instead of an institution. 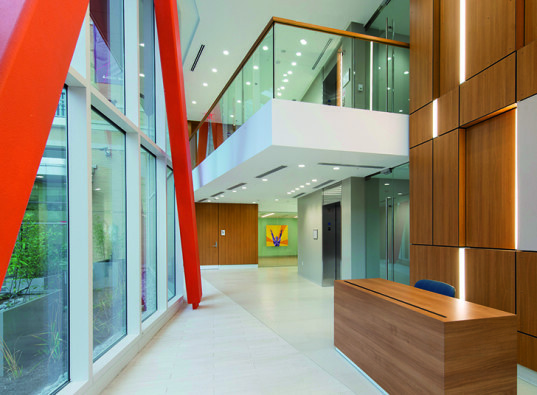 The lobby, support offices and a mail area are located on the ground floor, while the second floor houses a community room and opens up onto an outdoor terrace. Each of the upper floors comprizes sevel dwelling units and one ADA-accessible unit.